An uncontested divorce in New Jersey is simply a divorce whereby both parties have few disagreements concerning financial matters, custody related matters, and property distribution. Yes, Minor details may still need to be worked out, but the temperature between the couple is very low and all potential hurdles simply need to be discussed and not fought over in court. This is a positive situation as many times the divorce can be dissolved without all the normal negative fireworks and expense. The other instance of uncontested divorce is fairly rare, but still occasionally can occur. This situation is when one party files for a divorce and the other party simply refuses to show up in court. In this situation, the judge will simply grant most if not all of the requests of the party who filed and the other party will receive a default judgment. It is highly risky to not show up for court as only one side is presented. If you are choosing to not fight, choose to mediate your divorce instead of failing to show. In New Jersey, an uncontested divorce is usually handled through divorce mediation and both parties amicably resolve their issues with or without attorneys present. This decision to have attorneys involved or not is completely up to the parties involved. Everyone is obviously concerned about the financial implications of the traditional divorce process vs. an uncontested divorce. This is definitely an understandable concern. In New Jersey, the financial savings can be enormous, but the emotional savings can be even more valuable regardless of what state you live in. TLC Mediation understands the potential ramifications of traditional divorce far beyond the money wasted. If children are involved, an uncontested divorce can protect them from getting caught up in the middle of something they had nothing to do with nor want to be a part of. The key to this being an valid option on the table is trust and honesty. If both parties can hold true to being honest brokers and are willing to work together respectfully, an uncontested divorce is a viable option. Uncontested divorces are also private and not on public record as is the traditional divorce process. An uncontested divorce is not always a solution however. If abuse, for instance is involved, court protections are going to be required and potential restraining orders in place. This will make an uncontested divorce almost impossible. If the divorce has highly contested custody issues or damages are being sought after, uncontested divorce will again not be possible. Lawyers can be involved in an uncontested divorce, but they are not allowed to represent both parties. However, If lawyers are involved, their objective is not to fight to get the best “deal” like in traditional court. Their objective is to resolve issues and come together for a quick solution that is agreeable. Creating a win-win situation with a couple that is looking to dissolve a marriage efficiently is the goal. This is totally different than a traditional divorce where attorneys are trying to get everything they can for their client with little thought of the opponent. Attorneys are not required to be involved in an uncontested divorce. 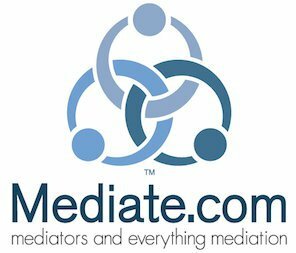 When using a divorce mediator only, the mediator is completely neutral and works hard to resolve all issues quickly and fairly so that your resources are saved and protected. This allows couples to move on with their new life and put the divorce behind them. Many times the couples part as friends with no scars whatsoever. TLC Mediation loves to bring about these kinds of results and will do everything possible to create a silver lining for you. A divorce in traditional court can take years to complete and drag on in and out of the court room for even longer than that. A uncontested divorce can be resolved and finalized 6-8 weeks after all the documents are signed and both parties agree. TLC Mediation prefers to have both parties present with every meeting so that nothing is ever misconstrued or communicated inaccurately. In addition, with both parties involved at each meeting, time is reduced by 50% and just makes the process much more efficient. Uncontested divorces in NJ also apply to domestic couples and partners. The hourly rate for a good divorce attorney can be daunting enough. However, the amount of time involved at the court house and preparing for motion after motion can rack up tens of thousands of expenses very quickly. This only adds fuel to the fire and increases tensions amongst couples. If couples can see this potential nightmare ahead of time, cooler heads can prevail and for the sake of everyone’s sanity and wallet, put aside many of their differences and find a middle ground. Obviously, this is not a viable path in every case, but it is only wise to look at alternatives ahead of time because once the traditional divorce process begins, it is very difficult to put on the brakes later. IS THERE A DOWNSIDE TO UNCONTESTED DIVORCES? One of the downsides to having an uncontested divorce is that once the process begins it needs to continue to the end. Whether lawyers are present or not, the uncontested divorce process is not a “sure thing” until both parties sign on the dotted line and finalize the arrangement. For the most part, if discussions fall apart and it goes back to court, both parties are back at square one. In some cases, portions of the mediation can be agreed upon and brought to court, but there is no guarantee or any “forcible” action and much of the time spent may be considered a waste. This is the largest risk while going down the uncontested divorce route in New Jersey. Beyond this, there really is nothing to lose by trying to avoide the traditional divorce process. Many couples who have gone through divorce simply didn’t know that an uncontested divorce was even an option and regret not doing more research ahead of time. Divorce is very emotional in many cases, so stepping back from a stressful time is not easy. It is however, highly recommended to weigh your uncontested divorce options ahead of time if at all possible. Not every detail has to be agreeable prior to beginning the process and a consultation first with TLC Mediation is probably a good idea to know for sure if an uncontested divorce solution is right for you. Many times what seems as a big road block at first can be worked out or a creative solution can be obtained. If there is any slight evidence that an uncontested divorce is a possibility, request a consult. It is worth getting all the facts in order to make a wise decision for you and your family. Owner and Founder of TLC Mediation, Jann Catto, will be involved in each and every consultation and in fact is currently handling every uncontested divorce solution personally. She has dedicated all of her time to her business and potential clients and handles everything in house. TLC has two locations to conveniently serve New Jersey residents and will accommodate almost any busy schedule. The consultations are painless and judgments about the relationship are not even a thought. The objective is always to create a win-win for couples and assist with smooth transitions. The details of what caused the divorce or any remote topics of blame are not to be put on the table for discussion. The discussion is focused on making sure that divorce mediation is the correct path and that the probability of success is high. Find out if the uncontested divorce process is right for you today!